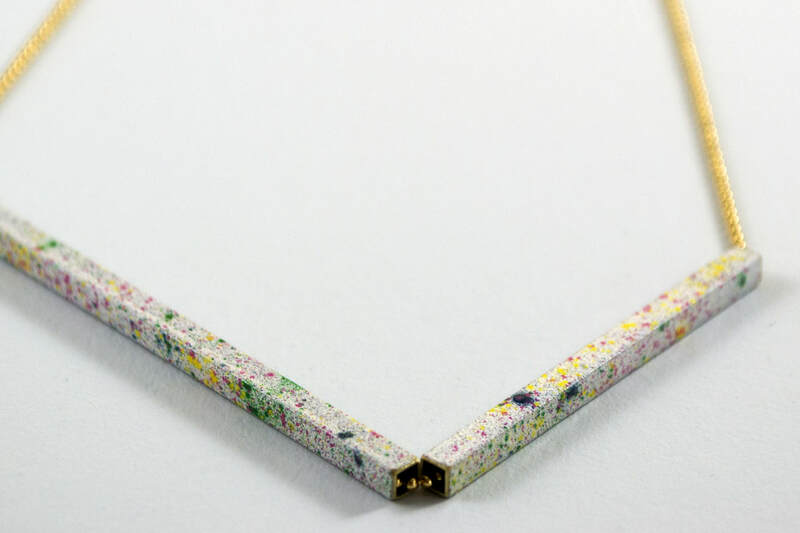 The Confetti & Fireworks necklaces are a byproduct of a color study around manual powdercoatings / coldenamel. The square brass beads are coated manually in light blue/grey and/or a darkblue with brightly colored speckle that resemble confetti and fireworks. 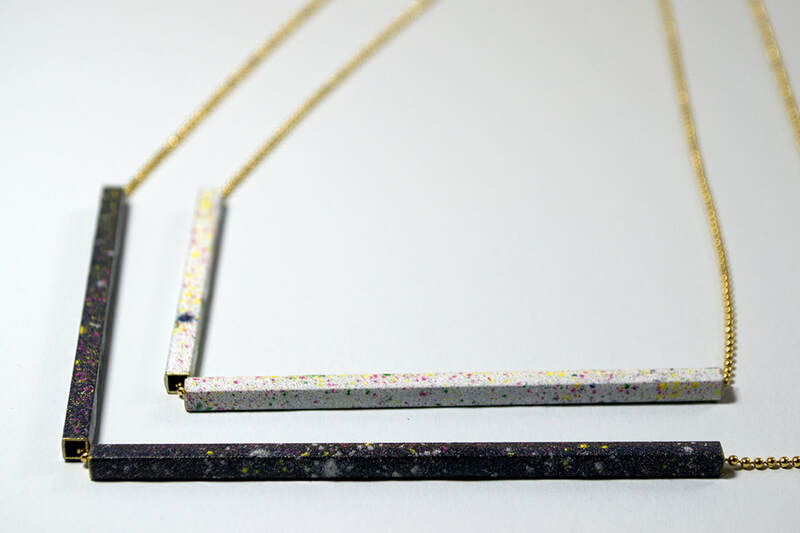 All Confetti&Fireworks necklaces are lovingly handmade in our studio, making each piece unique. The necklaces are available in light (Confetti) or dark (Fireworks) and come in a white cardboard jewelrybox. To create the multi-colored speckled effect, all brass beads are enameled by hand, making each one unique.